A lot goes into being a top-class rider and while jockeys come across as rather swanky professionals, the blood, sweat and tears involved are theirs to bear alongside the perks of the job. 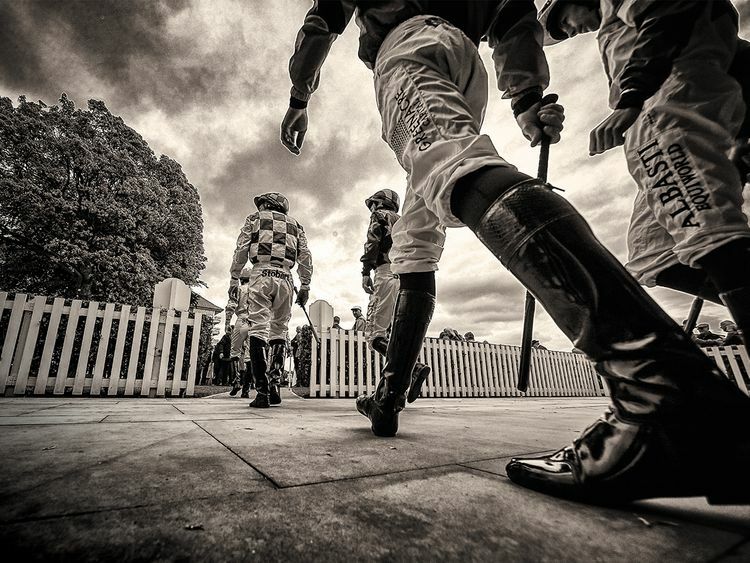 Truth is, it is not all hunky-dory in jockey land, with entitlements proportional to success. It is hard to tell which between ‘give’ and ‘take’ outweighs the other. To start with, the pressure to perform is unrelenting and enormous. As far as hard work is concerned, imagine hours of riding, sometimes twice a day, mornings and evenings, with time aplenty in between spent in the gym lifting weights and going through the motions during sweaty cardio sessions, to make sure the strict riding weight conditions are met. Add to that the risk of a debilitating or potentially fatal mishap occurring and you can begin to see the risks of the job. In a sport in which the only currency you deal in is success, it is imperative to be on the money all the time. It is a well-known fact that in order to race ride, one ought to be literally cut out for it. A certain build is what generally drives people towards riding. That’s exactly why, however strange it might sound, star Godolphin rider William Buick almost did not make the cut. “I guess I was a small young guy, I knew I would grow and develop, but at the time I was small,” Buick said. The truth is Buick had been ready all along. Born in Norway to British riding couple Walter, a flat race jockey, and Maria, a dressage rider and showjumper, it was natural for Buick to take after his parents. And he would persevere and rise to being one of the most accomplished riders around the world. Currently a retained rider with Godolphin, Buick gets the leg up from Charlie Appleby, one of the stable’s trainers based in Dubai during the winter. 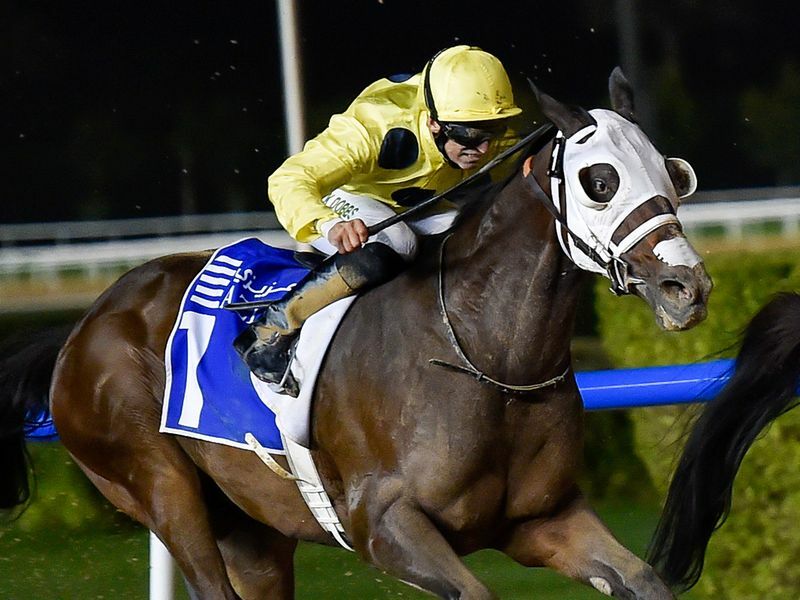 He is no stranger to winning on Dubai World Cup night, having won the Group 1 Dubai Sheema Classic thrice (2010, 2017, 2018) and even claimed the feature Group 1 Dubai World Cup in 2015 on Prince Bishop. He celebrated one of his biggest triumphs last year, landing Godolphin its first ever success in the Epsom Derby with Masar. Now with a series of good horses at his disposal, 2019 could be an even bigger and better year for the globetrotter. Pat Dobbs doesn’t like saying much but that’s only because he’d rather let his riding do the talking. 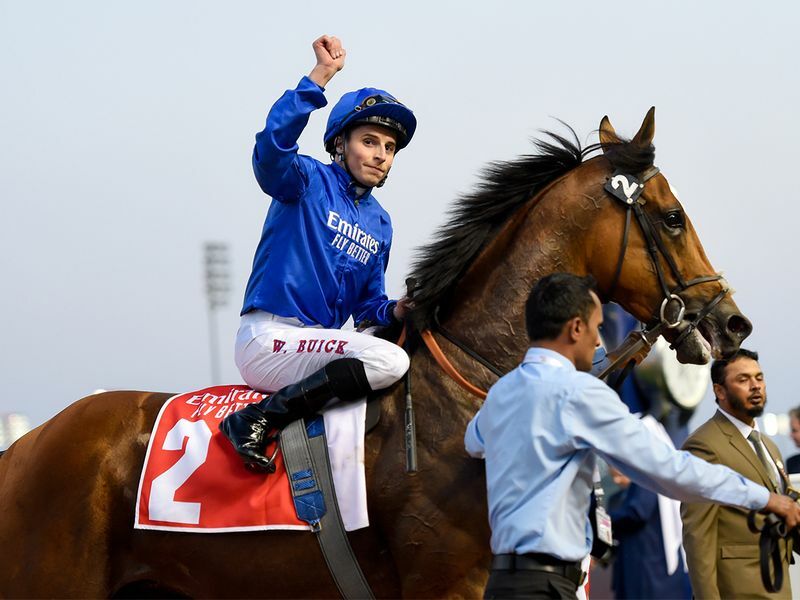 The 40-year-old is widely considered a highly dependable rider not just in the Emirates, but in the UK as well where he rides for Richard Hannon Jr. His first port of call in the UAE was Red Stables boss, Doug Watson, whose charge Second Summer won the 2017 Godolphin Mile, his biggest prize here in the UAE. Born into a non-racing family, it took much convincing from Dobbs to get his parents to send him to racing school. “I had no family roots in racing. I was the first to get into it,” Dobbs explains. “I was very small when I was 15, only 31.8kgs. I didn’t enjoy school so it was an easy exit out of school and it was the right decision. “The folks were a bit hesitant at the start but I kept moaning and moaning and I think they got sick of me moaning and in the end they just said go. 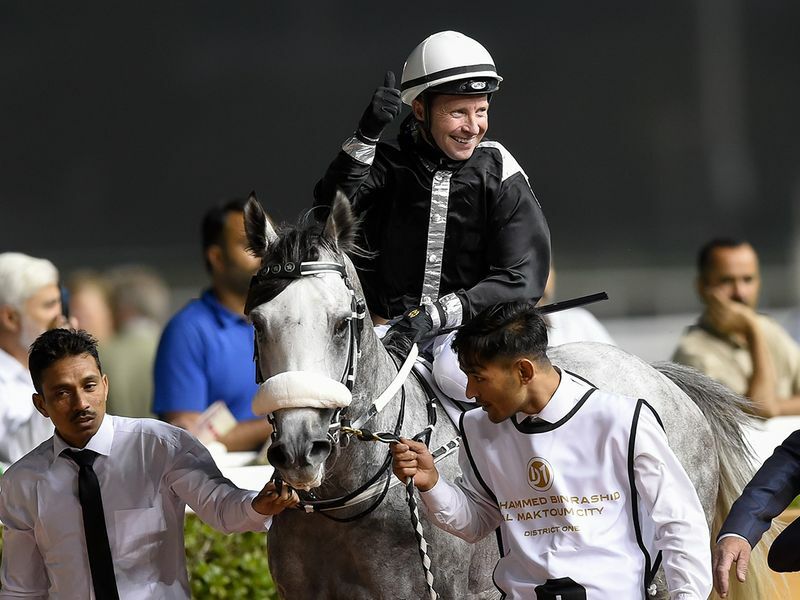 Dobbs has ridden over 200 winners in the UAE and is a regular around the summit in the UAE Jockeys Championship, although the title has continued to elude him because of his preference for thoroughbreds. Dobbs is widely regarded in British racing circles, where his biggest career win to date remains his one and only Group 1 Coronation on the Hannon Jr.-trained Pether’s Moon in 2015. One of the most affable personalities in UAE racing, Tadhg O’Shea needs no introduction. In fact, the Irishman further bolstered his reputation in the Emirates more than a fortnight ago, surpassing Richard Hills to take over as the most winning jockey in the UAE with 507 wins. It’s all worked out absolutely perfectly for 37-year-old O’Shea, who carries the weight of tall ambition well on his diminutive but strong frame. UAE bound with an all-expenses paid trip courtesy Shaikh Hamdan Bin Rashid Al Maktoum, Deputy Ruler of Dubai and UAE Minister of Finance, O’Shea touched down in Dubai and as the rest as they say is history. “I hated being indoors in school and I didn’t grow enough to be a security guard or a bouncer so I decided to be a jockey,” he quipped. O’Shea is a legend with six UAE Jockeys Championships, with most trainers attributing his success to his preternatural ability when it comes to dealing with equines. “I’ve always loved animals,” he says. Dubai is home for the Irishman, who lives here with wife Debbie and sons Daragh, 8, and Aaron, 6. 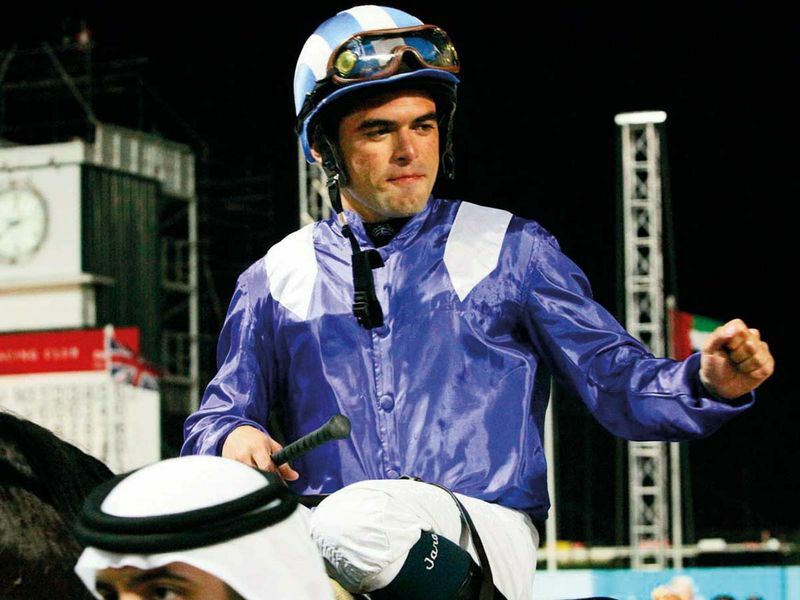 Fernando Jara had always been destined for success and one of his biggest nights in racing arrived in 2007 when he won the Dubai World Cup with Invasor. He was just 20 at the time, but it was a sweet follow up to his success in the 2006 Breeders’ Cup Classic on the same horse. Jara had the world at his feet and was in full knowledge of the fact he had achieved things most riders could only dream of. “When I was a little kid, I used to go see all the races back home. I used to see the big jockeys and I remember thinking I want to be there and I got there,” said Jara, 31. Winning the Dubai World Cup helped facilitate a move to the UAE and he has since become a permanent fixture on the UAE horse racing circuit. Jara has been riding in the UAE for over a decade and believes he has done well for himself with the 2008/09 UAE Jockey Championship to show for his efforts. Born into a family involved in racing made things easier for Jara. “I have learned a lot from my 15 years in racing,” says Jara, whose sister Alexandra is a jockey in the US. “This is a sport that teaches you a lot. I have always enjoyed racing here and I’m pretty happy with the way things have been coming along so far. I’m just happy to be part of the scene here. “When I started, I knew this is what I wanted to do. Then I got here and won races most people hope to just ride in. Winning those races was special and definitely meant a lot to me.